There isn't a place more desolate and more beautiful than Death Valley National Park in California. As such it is a perfect place to have incredible variety for your Pre-Wedding photos. 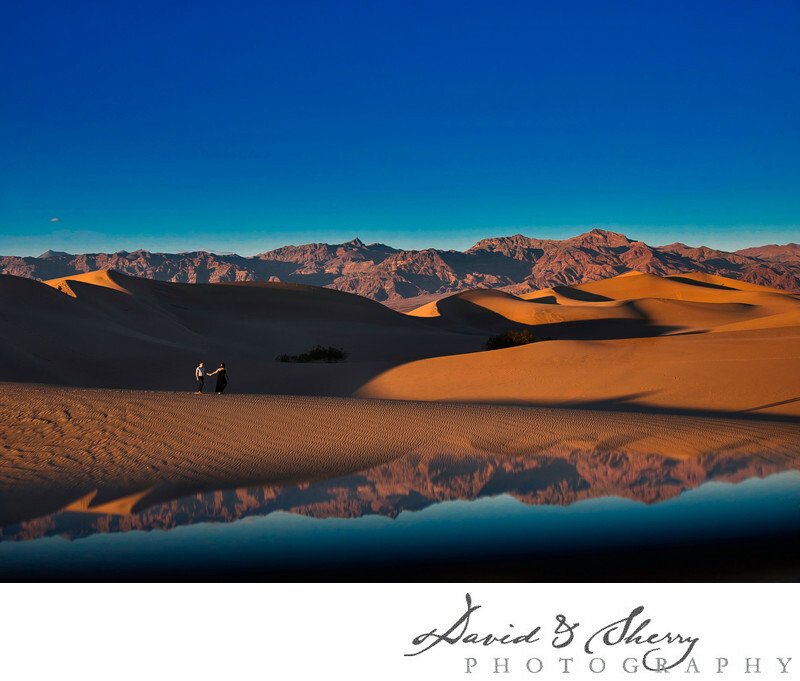 There are several wonderful spots to take photos including the sand dunes, furnace creek, racetrack playa, bad water basin, and stovepipe well. The amount of beauty in the desert is magnificent and the wide vistas we can capture with our cameras make it so worth being there with a gorgeous gown, some extra flashes, the right lenses and the skill to be able to capture the most beautiful of poses and emotions of your soon to be married partner. A lot of people ask us what to wear on our pre-wedding sessions and what I always tell them is to wear something comfortable... then in a bag along with you bring your pumps, stilettos and your flowing gowns. More colour and solid colour is of wonderful importance as it will bring focus on you, adding in some length to your gown will allow for the fabric to blow in the wind which ads a great dimension to the image. Emotion, colour, mood, focus, composition, story telling are all parts of a wonderful photo and we would be happy to create some with you.